"I didn't have time to be anyone's muse... I was too busy rebelling against my family and learning to be an artist." 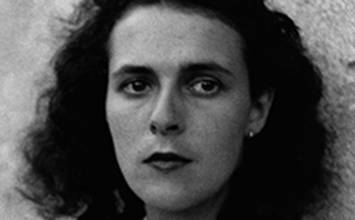 Leonora Carrington established herself as both a key figure in the Surrealist movement and an artist of remarkable individuality. Her biography is colorful, including a romance with the older artist Max Ernst, an escape from the Nazis during World War II, mental illness, and expatriate life in Mexico. In her art, her dreamlike, often highly detailed compositions of fantastical creatures in otherworldly settings are based on an intensely personal symbolism. The artist herself preferred not to explain this private visual language to others. However, themes of metamorphosis and magic, as well as frequent whimsy, have given her art an enduring appeal. Carrington shared the Surrealists' keen interest in the unconscious mind and dream imagery. To these ideas she added her own unique blend of cultural influences, including Celtic literature, Renaissance painting, Central American folk art, medieval alchemy, and Jungian psychology. Carrington's art is populated by hybrid figures that are half-human and half-animal, or combinations of various fantastic beasts that range from fearsome to humorous. Through this signature imagery, she explored themes of transformation and identity in an ever-changing world. Carrington's work touches on ideas of sexual identity yet avoids the frequent Surrealist stereotyping of women as objects of male desire. Instead, she drew on her life and friendships to represent women's self-perceptions, the bonds between women of all ages, and female figures within male-dominated environments and histories. 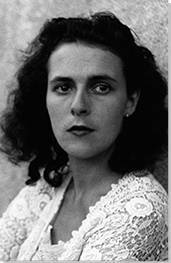 Leonora Carrington was born in 1917 to Harold Carrington, an English, self-made textiles magnate, and his Irish-born wife, Maurie Moorhead Carrington. Carrington spent her childhood on the family estate in Lancashire, England. There she was surrounded by animals, especially horses, and she grew up listening to her Irish nanny's fairytales and stories from Celtic folklore, sources of symbolism that would later inspire her artwork. Carrington was a rebellious and disobedient child, educated by a succession of governesses, tutors, and nuns, and she was expelled from two convent schools for bad behavior. Completed shortly after her escape from England and the beginning of her affair with Max Ernst, this painting captures Carrington's rebellious spirit and rejection of her Catholic upbringing. "Lord Candlestick" was a nickname that Carrington used to refer to her father. The title of this work emphasizes Carrington's dismissal of her father's paternal oversight. In this scene, Carrington also transforms the ritual of the Eucharist into a dynamic display of barbarism: gluttonous female figures devour a male infant lying on the table. The table itself is a representation of one used in the great banquet hall in her parent's estate, Crookhey Hall. Carrington intentionally inverts the symbolic order of maternity and religion as a statement of her own subversive move towards personal freedom in France. This early painting by Carrington was completed as a tribute to her relationship with the Surrealist artist Max Ernst. In the foreground, Ernst is shown enshrouded in a strange red cloak and yellow striped stockings holding an opaque, oblong lantern. A white horse, a symbol Carrington frequently included in her paintings as her animal surrogate, is shown poised and frozen in the background, observing Ernst. The two are alone in a frozen and desolate wasteland, a landscape symbolic of the feelings Carrington experienced while living with Ernst in occupied France. This painting perfectly summarizes Carrington's skewed perception of reality and exploration of her own femininity. The artist has painted herself posed in the foreground on a blue armchair, wearing androgynous riding clothes, facing outward to the viewer. She extends her hand toward a female hyena, and the hyena imitates Carrington's posture and gesture, just as the artist's wild mane of hair echoes the coloring of the hyena's coat. Carrington frequently used the hyena as a surrogate for herself in her art and writing; she was apparently drawn to this animal's rebellious spirit and its ambiguous sexual characteristics. In the window in the background, a white horse (which may also symbolize the artist herself) gallops freely in a forest. A white rocking horse in a similar position appears to float on the wall behind the artist's head, a nod to the fairytales of the artist's early childhood. Carrington had been raised in an aristocratic household in the English countryside and often fought against the rigidity of her education and upbringing. This painting, with its doublings, its transformations, and its contrast between restriction and liberation, seems to allude to her dramatic break with her family at the time of her romance with Max Ernst. The distorted perspective, enigmatic narrative, and autobiographical symbolism of this painting demonstrate the artist's attempt to reimagine her own reality. Themes of transformation and metamorphosis were significant for Carrington, as was the concept of a feminine divinity with life-giving powers. This painting shows a monumental female figure in a red dress and a pale green cape towering over a forest of trees. Two geese appear to be emerging from beneath the figure's cape, and delicately painted animal figures and shapes are delineated on the Giantess's gown. The Giantess protects an egg, a universal symbol of new life, clasped in her hands, while geese circle clockwise around her and tiny figures and animals hunt and harvest in the foreground. The palette, scale, and facture of the painting demonstrate Carrington's interest in medieval and gothic imagery: the face of the Giantess resembles a Byzantine icon, painted flatly and illuminated with a gilded circle that frames her visage. The inclusion of geese may reflect her interest in Irish culture, in which this bird is a symbol of migration, travel, and homecoming. In a compositional technique reminiscent of Hieronymous Bosch, Carrington has included a host of strange figures that appear to be floating in the background. While the marine colors indicate that the ships and images are likely at sea, Carrington's hieratic method in this painting merges the sea and sky included in one image, emphasizing her interest in art's capacity to combine worlds. The hybrid characters that populate the labyrinthine world of Ulu's Pants reveal Carrington's nostalgia for the Celtic mythology she learned as a child, as well as her exposure to various cultural traditions during her time in Mexico. The disconcerting monstrous figures in the foreground are arranged in a static row, as if acting in a play. An egg, symbolic of fertility and rebirth, is guarded at the lower right by a strange figure with a red head. Carrington was deeply concerned with continuous renewal through self-discovery, an idea incarnated by shape-shifting figures in the foreground and by the distant creatures searching for a pathway through the maze in the background. Later in her career, Carrington added portrayals of older women to her visual vocabulary of repeated settings and figures. The structure in the background of Bird Bath recalls her childhood home, Crookhey Hall, which was decorated with ornamental birds motifs. In the foreground, an elderly female figure dressed all in black (as Carrington herself dressed, in older age) sprays red paint onto a surprised-looking bird. The use of a large basin of water and a clean white cloth (held by the masked assistant) recalls the Christian sacrament of baptism, and the white bird may allude to the symbolic dove of the Holy Spirit. However, the ceremony enacted by these characters seems humorous as well as solemn. The woman in the scene has undergone her own transformation, from girl to crone, while retaining her creative power.